City Close Investment - Don't let this one get away! If you're looking to land that neat and tidy property close to the Frances Bay foreshore that won't break the budget then don't let this one get away. Ideally located within easy reach of the Darwin Waterfront Precinct, Darwin City, major shopping centres, schools and the famous Parap Markets. Whether it's your first home or adding to your existing portfolio this investment property is so close to the Darwin CBD that everyone will love living here. 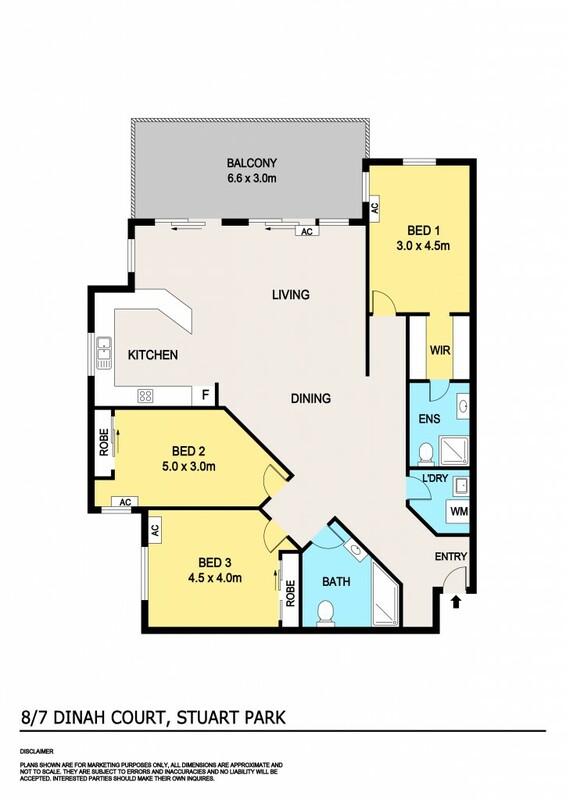 This 3 bedroom 2 bathroom unit is a winner - definitely, don't let this one get away!! Situated on the edge of Frances Bay within a well laid out complex of only 16 apartments, unit 8 is located on the first floor and offers the occupant excellent security, plenty of space and a private balcony you can call your own. With a lift in the complex the choice is yours if you want to get fit via the stairs or use the lift for the grocery shopping. Well positioned within approximately 2.2 kms to Darwin's vibrant Mitchell St entertainment strip and the Coles Shopping Complex in the Mitchell Centre and approximately a short 1.2km walk to the Fisherman's Wharf Eatery and the best Fish & Chips in town. * Rates: $1620 pa approx.